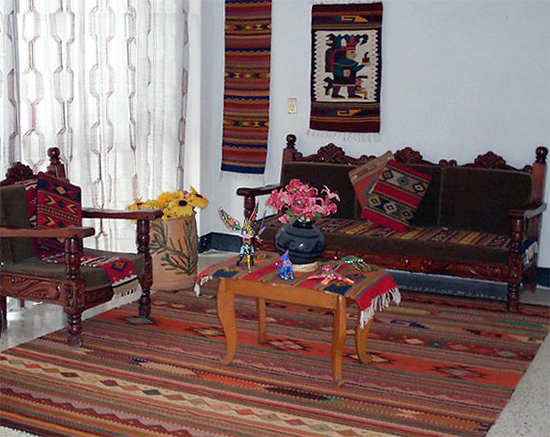 Zapotec rugs are wool-woven in a foot loom in Teotitlan del Valle, Oaxaca. The town has a pre-Hispanic weaving tradition and is world famous for its fine tapestries and wall hangings decorated with traditional Zapotec and Mixtec fretwork, idols, animals or reproductions of famous creations by artists like Diego Rivera, Pablo Picasso and M.C. Esher. Teotitlan del Valle is located 30 km from Oaxaca City in the east of the Central Valley Region, at the foothills of the Juarez Mountain Range. It is believed Teotitlan was one of the first Zapotec cities founded at least 2500 years ago; they named it Xaquixe which means at the foot of the mountain. The Zapotecs, who established in Oaxaca's Central Valley, were one of the most important civilizations of Mesoamerica. Monte Alban was their most important and one of the largest cities of the time; its remains account for the Zapotecs buildings, funerary crypts and ball courts. The Zapotecs were farmers, weavers, metal smiths and potters. They were together with the Mayan the only cultures in the area to create a complete writing system. 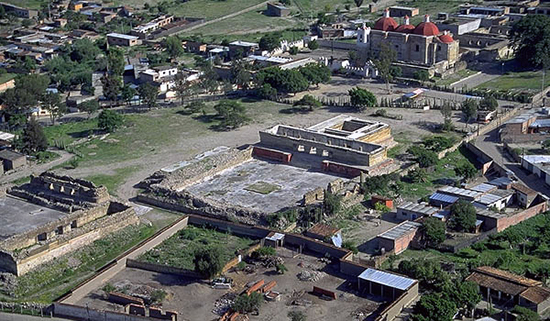 By the end of Mesoamerican Classic Period (1000 A.C.) Monte Alban lost control of the other Zapotec cities in the Valley and eventually was abandoned. The most important City for the Zapotecs became Mitla. The Central Valley was then politically and culturally influenced by the Mixtecs who eventually took control of Monte Alban and Mitla. The remains in Mitla show how the buildings were originally built by the Zapotecs and later rebuilt and decorated by the Mixtecs. By the second half of the 15the century the Central Valley was dominated by the Aztecs and many towns were renamed in Nahuatl. Xaquixe's name was changed to Teotitlan which means place of the gods in Nahuatl. Teotitlan paid a back strap loom woven cotton cloths tribute to the Aztecs. In 1521 Teotitlan, like most cities in the Central Valley, surrendered pacifically to the Spaniards. Del Valle (from the Valley) was added to its name and a catholic temple was built on top of the town's original ceremonial place. The Church named the Precious Blood of Christ was built with some of the pre-Hispanic engraved monoliths. Around 1535 Dominican Friar Juan Lopez de Zarate brought the first sheep to Teotitlan introducing the native people to the use of the foot loom and all the techniques associated with wool weaving. The vegetal and animal dyes used in the area were enriched with the mineral ones brought by the Spaniards. Teotitlan weavers began making wool tapestries, sarapes and clothes with their traditional patterns. By the 1920's, as dress costumes changed, Teotitlan's weavers ceased making the wool garments that were sold locally and in Puebla and Mexico City and specialized in wall hangings and rugs. In the 1950's, with the arrival of foreign tourism, Teotitlan's weavings became internationally famous, sales arose and the whole family became involved in the weaving process. Traditionally a farming community nowadays most families have left their fields to become fulltime weavers. The wool used in the Zapotec rugs comes from Teotitlan and neighbor towns such as Tlacolula and San Baltazar Chichicapam although the wool from the Oaxacan Mixteca region is preferred over the one from the Valley because it is softer and thinner. 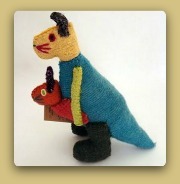 The fleece is washed on the river; soaked, wiped and squeezed several times. It is next placed on a reed basked and shaken off excess water. Back at the weavers home the wool is laid on a petate and left to dry on the sun. The wool is carded into bats and then spun with the help of a spinning wheel; the weaver holds the bat with one hand and with the other turns the wheel handle. Teotitlan del Valle weavers use both synthetic and natural dyes in their rugs; the use of industrial colors came as a way to lower production costs and facilitate the making process but over the last years many weavers have abandoned this practice and began using the traditional dyes as a way to distinguish themselves from the competition. Oaxaca's Central Valley has been a place rich in vegetal and animal dyes since pre- Columbian times. The Spanish brought along salts and oxides used as a color toners and fixatives that enriched the native natural dyes. The first step to dye a wool skein is to boil it with alum for an hour and after that let it rest for a day. Next, in a large pot full of water with alum the skein is boiled with the natural dye; around an hour later natural acids such as lemon juice or peel are added to obtain the sought color shade. The skein is left in the heat until the desired color is achieved and then is pooled out. Afterwards the wool is left for a day before washing it with water and amole soap. Once dried the skein is spun again. 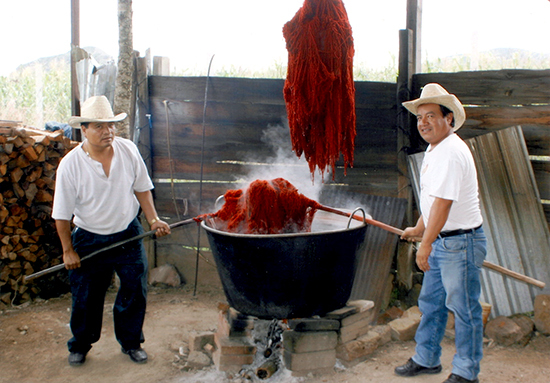 Among the natural dyes available in Oaxaca the cochineal is the most appreciated worldwide. The cochineal is made by an insect of the same name that lives on Opuntia genus cacti feeding on the plant moisture and nutrients. The insect produces carminic acid which can be extracted from its body and eggs to make carmine dye. Known in Spanish as grana cochinilla, its Nahuatl name was nocheztli which means the blood of the prickly pear. The cochineal was used to paint, to dye and as make up. Besides cotton cloths the Central Valley towns gave cochineal as tribute to the Aztecs. During the colony the grana cochinilla was exported to Europe and to Asia. The demand for the cochineal fell sharply with the appearance of artificial dyes discovered in Europe in the middle of the 19th century. The cempasuchil flower for yellow shades. Indigo leaves to obtain blue hues. Pecan bark and walnut husks make tan and brown colors. The Zapotec Rugs are foot loom woven. A different coil is employed for each color thread used in the rug's design. 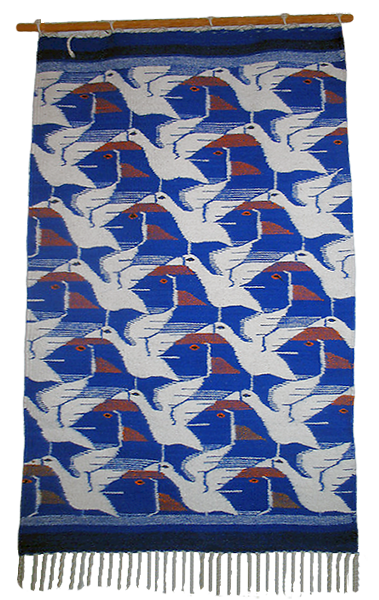 The rug pattern is previously drawn on scale on a cardboard sheet and used as a reference during the weaving. Once finished the rug is washed with warm water and amole thoughtfully; next is taken to the river where any amole residues are washed off. Many families in Teotitlan have a foot loom on their houses and are given the wool yarn already dyed by established workshops that employ them as weavers. 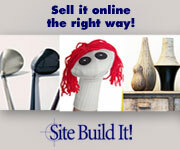 Other families are organized enough to take care of the whole making process. Besides rugs, Teotitlan weavers also make coasters, place mats, pillow cases and table runners. The traditional patterns in the Zapotec wool rugs are glyphs, fretwork animals and idols taken from the archeological remains in the town's church and Mitla as well as the Mixtec codices. 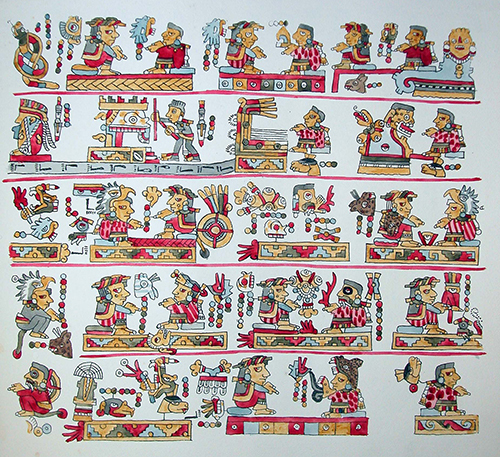 These designs represent Teotitlan's history and culture. 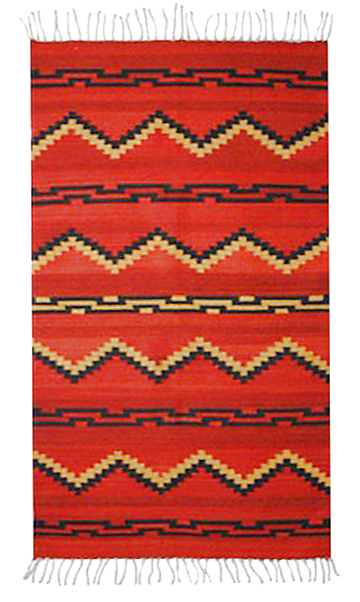 Other designs and color combinations used on the rugs come from other weavings in the country such as the Saltillo Sarapes or even abroad like the Navajo rugs' patterns that have strongly influenced the Zapotec rugs designs. As the Zapotec rugs gained international fame; Teotitlan became a very visited town and the costumers demand introduced another kind of rugs mostly used as wall hangings and called artistic rugs because they depict paintings and prints from famous painters. Please mouseover codex and use wheel to zoom in-out. 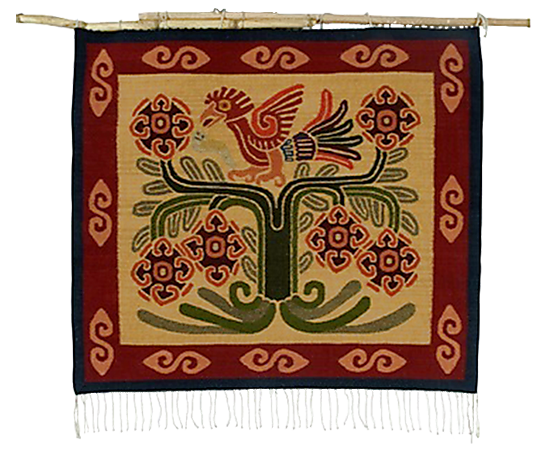 A top quality Zapotec rug must be tightly woven, somewhere around 20 threads per inch. Rugs must lye completely flat either on the floor or hanging on the wall and have straight edges. Never fold a wool rug against the weaving direction, the wool will be damaged and a mark will stay forever. When buying a wool rug put it in a plastic bag and freeze it for a week, if there are any bug eggs in the rug this will help you get rid of them. To keep rugs clean, vacuum both sides on a regular basis; if washing the rug is necessary turn it to a professional cleaner.